The application workflow of each project, operation, and event, as well as their related tasks, lessen their risk exposure to manual error. 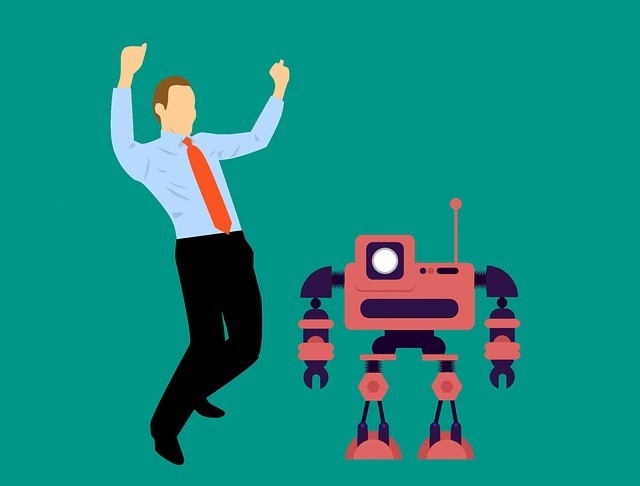 Professionals and specialists in every department of an organization are beginning to learn how to automate their tasks, a trend that is making Workload Automation more mainstream. No longer is this application seen as strictly the concern or the area of the IT manager. To use an example from Helpsystems: a sales manager has to present reports of client feedback and results from their sales call every week in the management committee meeting. He has to pull out all the statistics and numbers from the Customer Relationship Management database probably a couple of days before that meeting. Afterwards, he will need more time to analyze the data to come up with a conclusive report. Then 24 hours before the meeting, he has to share that document to his fellow department heads and other participants in that meeting by emailing them or uploading the file in the FTP server. This compilation of a weekly report will take a human being at least 48 hours to accomplish. The sales manager, who has already a full schedule and an equally heavy workload, will have to squeeze in time into his busy calendar to finish all these tasks. He would have to do it every single week. Workload Automation can relieve him of that burden by breaking down his entire process into different phases, assigns a job batch scheduler into each task, automates all the tasks, and performs them way before the deadline. This is one simple example. Now translate this sales manager’s experience to that of his colleagues in marketing, accounting, procurement, and logistics, among others. As described by Computer Weekly, automation becomes a viable option for all these departments and their teams. The IT manager can help them plan out their entire calendar of activities, break down each phase of their projects into doable tasks, and schedule these tasks into a workable schedule that he can monitor. While the entire process is run by one platform, the team members share in the responsibility of the result, instead of reverting to the traditional practice of dumping everything into the lap of the IT manager. The application workflow of each project, operation, and event, as well as their related tasks, lessen their risk exposure to manual error. Using the above example, it is possible that the sales manager can overlook certain critical data while he is compiling his report. Given his other responsibilities, he might not be able to devote a lot of time into studying it. He might miss his own self-imposed schedule because he is a team of one; instead of finishing the report in 5 hours, he completes it in ten. The Workload Automation solution does not have those weaknesses. The IT manager himself simplifies his own set of sophisticated tasks by subjecting them to Workload Automation. As specified by Enterprise Management, it can create an operational overview of the tasks that should be fulfilled in the following IT elements that fall under his purview: “multiple platforms, Web services, composite applications, Service Oriented Architecture, virtual systems, dynamic resource allocation, ITSM integration, and business service alignment.” The entire IT process itself can be automated, with the many diverse workloads being managed by scripted routines. Another advantage that Workload Automation provides the IT manager and ultimately the organization that he serves is that it aligns his IT responsibilities and their related functions to the company’s overall business objectives. Some Workload Automation solutions offer interfaces that allow the IT manager and the company head to determine the business value of certain tasks and the percentage of the role these will play in helping accomplish the company’s objectives. Once that system of measurement has been established and implemented, the IT manager can program the Workload Automation into prioritizing those tasks and processes that have a direct positive impact on the company’s most urgent, pressing goals. Zane Soraine’s review of the BMC Control-M Workload Automation in LinkedIn enthuses that implementation of application delivery can increase by a significant 80%. Administration time spent in monitoring the project and ensuring that the tasks get done is cut by 50%. Essentially, Workload Automation improves an organization’s application workflow by supporting it with a machine-run organizational structure, ensuring that all the tasks are done on time, inaccuracies and errors are minimized, and business and operational continuity are strengthened. And though Workload Automation will always be anchored in IT, its relevance and use are spreading far beyond this department to help marshall the different responsibilities and services in the other units of the organization.